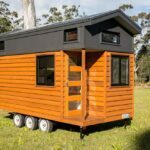 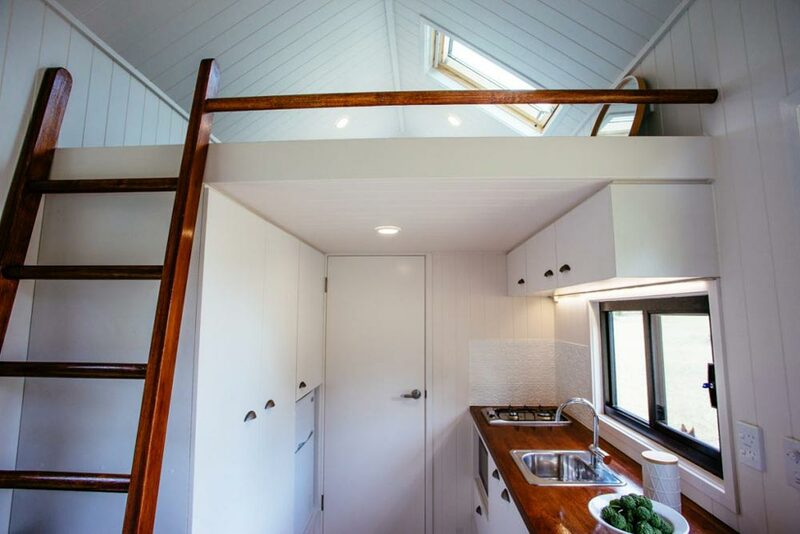 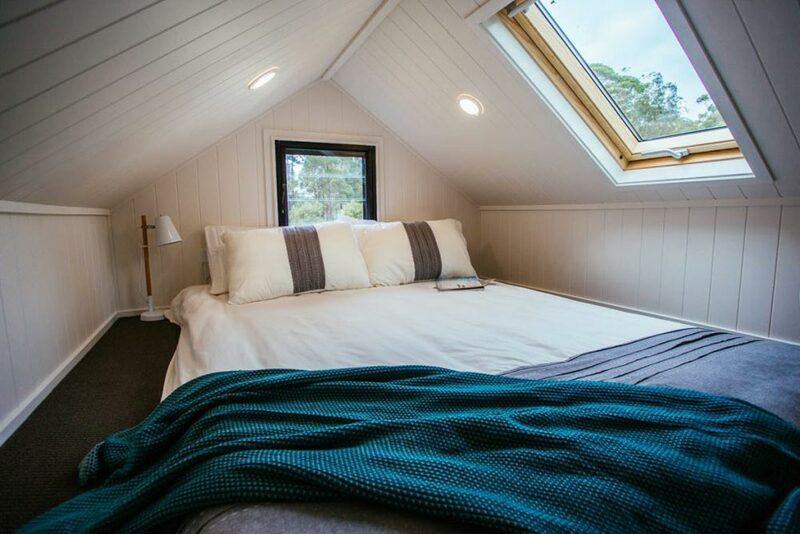 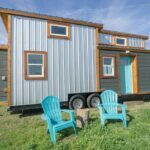 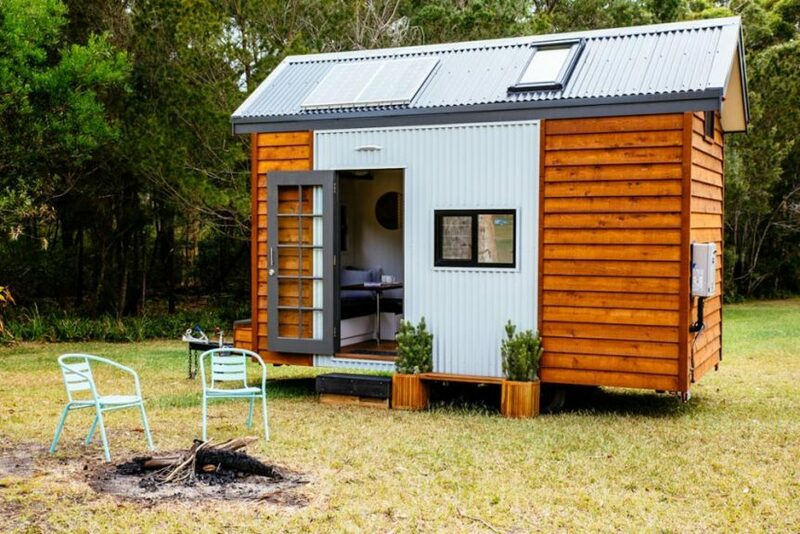 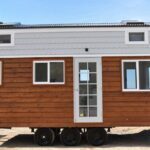 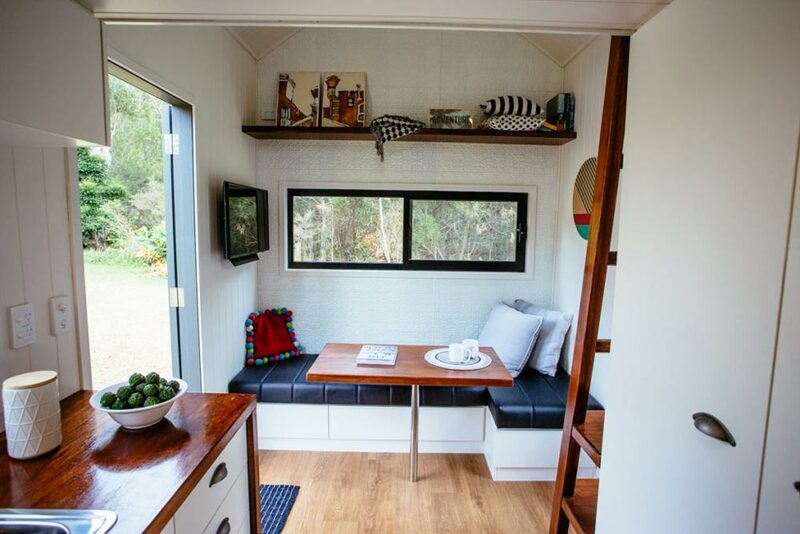 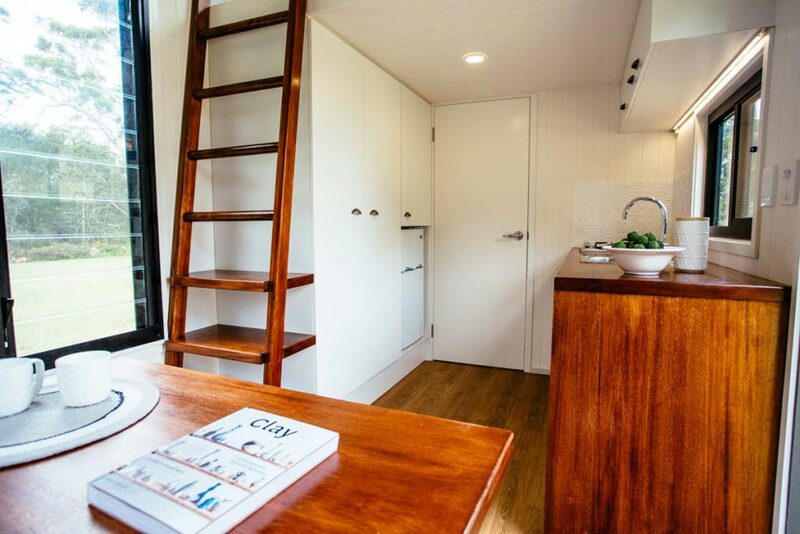 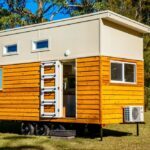 Designed and built by Designer Eco Homes, the Independent Series 4800DL is approximately 16-feet long and has a king size loft, kitchen, bathroom, lounge/dining area, and ample storage space. 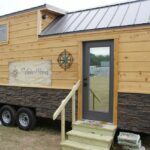 The home has a hybrid solar power system so it can run on- or off-grid. 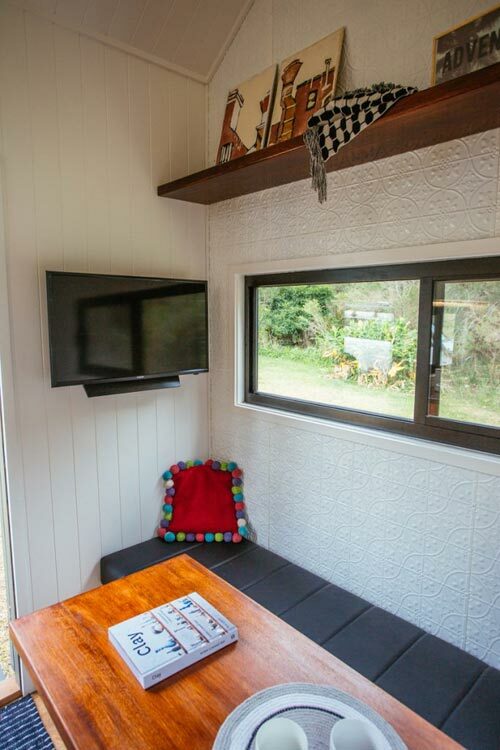 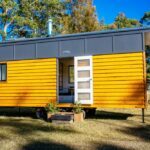 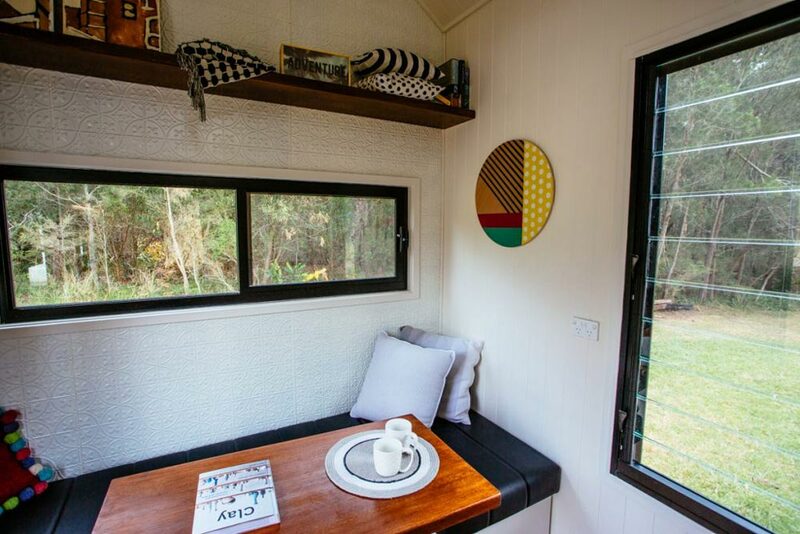 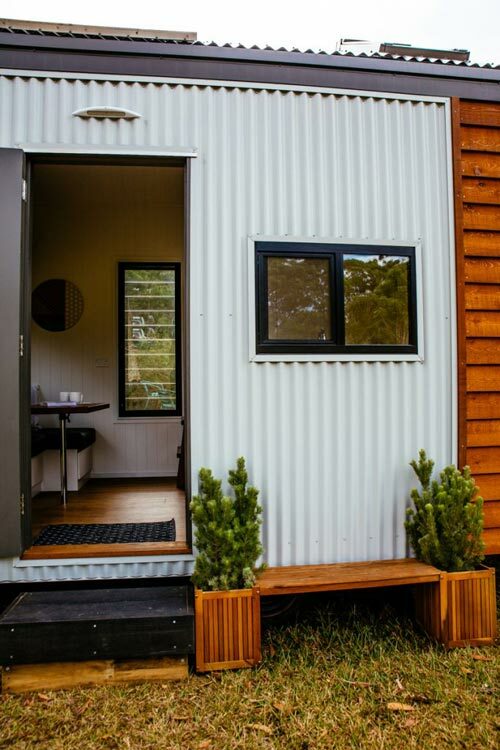 The Australian builder used Western Red Cedar and corrugated metal for the exterior siding. 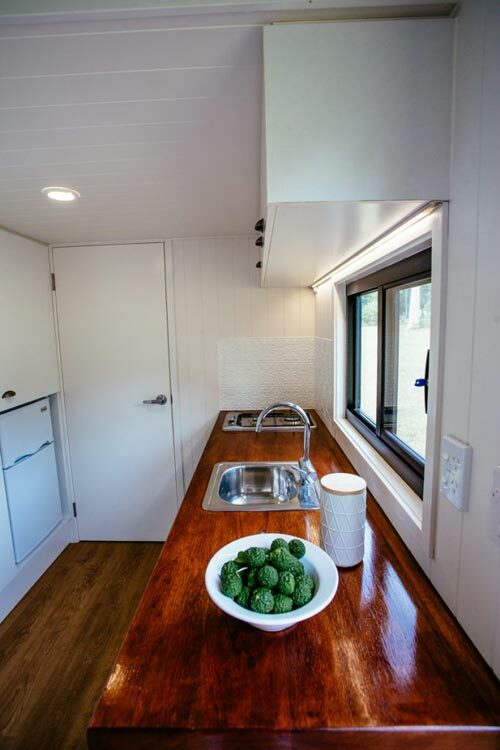 The kitchen includes a cooktop, sink, and small refrigerator. 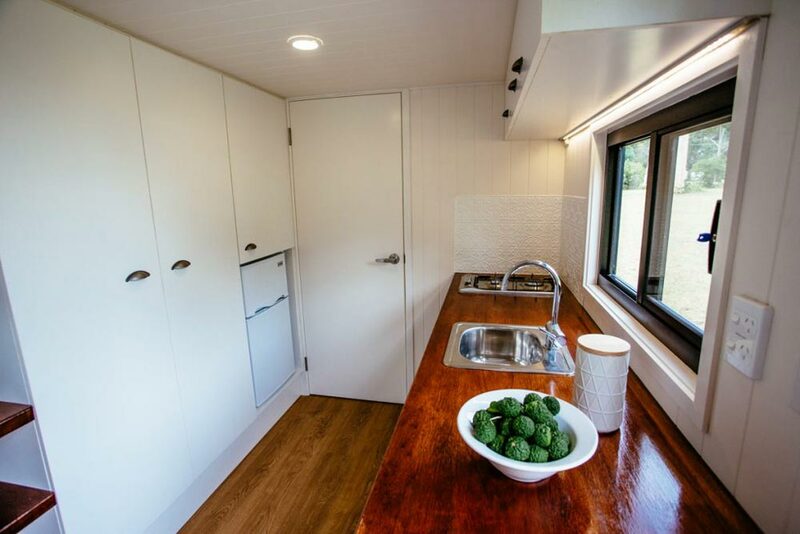 A large pantry is located across from the kitchen counter. 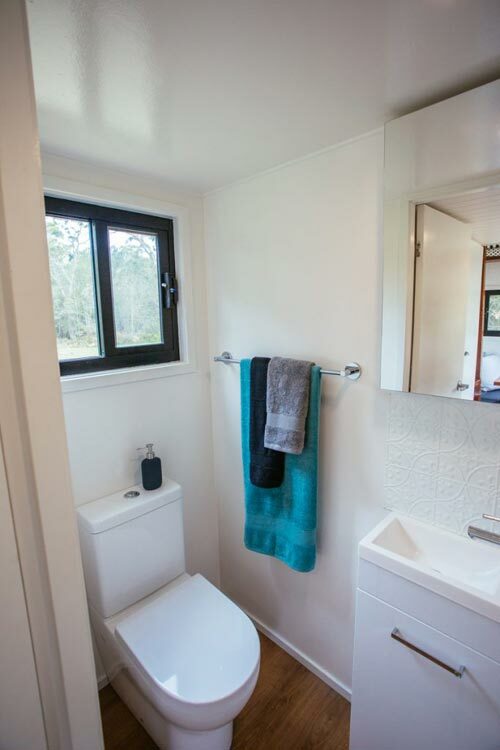 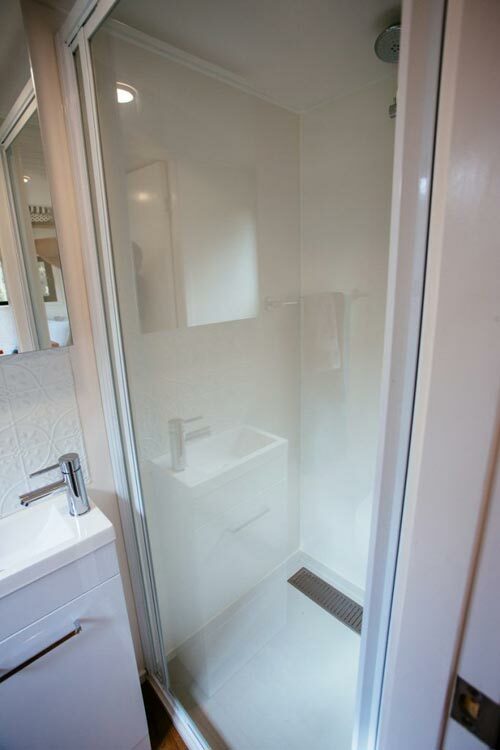 In the bathroom is a shower with glass door, vanity with mirror cabinet, and toilet.